Quarness, a complete and secure solution of mobility, for a better daily coordination of care. Quarness mobile solution that simplifies the daily coordination of care is based on 3 modules. Sharing, in real time, critical and needed information among stakeholders from different departments is essential to guarantee a smooth coordination of care processes. Unexpected events often disrupt the daily organization, if not communicated in real time to care teams (delay in Operating theater, emergency admission, pharmacovigilance alert…). 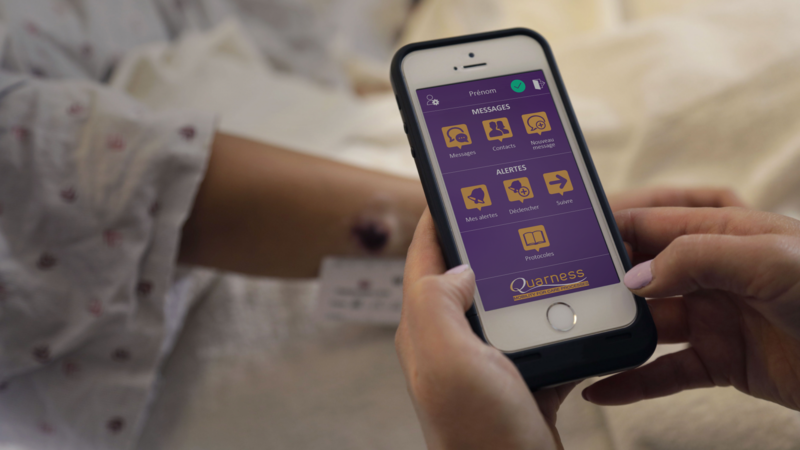 Quarness Alerting solution enables caregivers to communicate these events using predefined alerts. needed alerts are defined starting by analysing information each stakeholder has in his possession or has to receive to be able to accomplish his job. Environmental friendly as less paper !